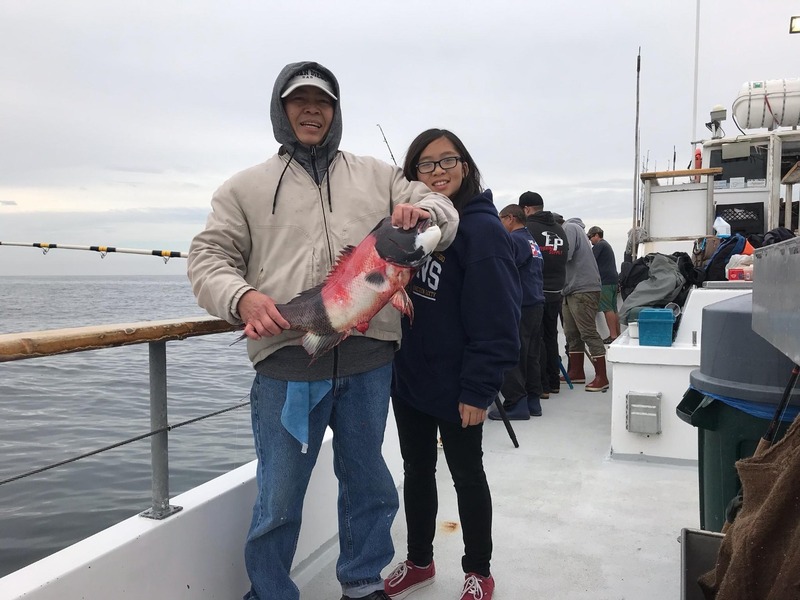 Captain David Yumori aboard the Chubasco2 is having another great day of rock fishing with well over a hundred fish on board and is still fishing. Check out the final count here. Pictured is Travis and Porter Frost with a very nice Sheephead.